Why getting commercial carpet tiles is a smart decision? Are you going to replace the floor of your office soon?. Then, before getting the floor replaced, you should check out all the possibilities. There are many flooring options available and a flooring can actually transform your office from drab to fab that too under your budget. 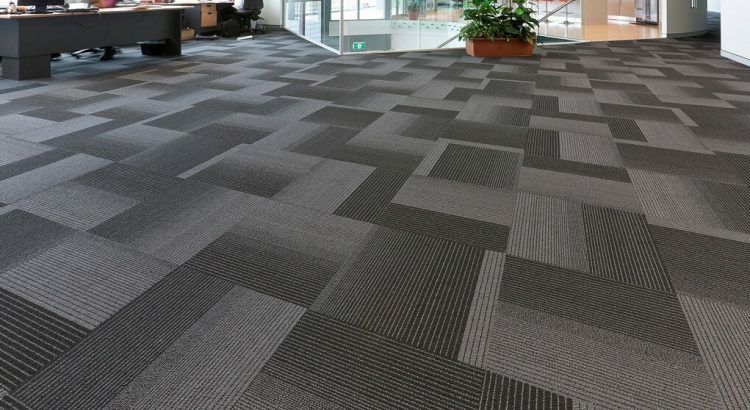 In this blog, we would discuss the various benefits of having commercial carpet tiles in your office and how does it affect the entire appearance of the office premises. Versatility: carpet tiles work for any room or any area in your office, like meeting room, your cabin, auditorium and any other area. Just install them once and you would notice how your space gets transformed. The designs, patterns, and colours are many which are available in carpet tiles. You can get the one design which suits your choice and other needs. The versatility of commercial carpet tiles is high and due to the availability of various options, you can find the most suitable one. Cost-effective: The cost of flooring is a major concern for all the business owners and based on that they actually decide the type of flooring, which they need in their office. You must not know this fact, but there is much more to the carpet flooring than just availability of various options. You have to consider the installation and underlay as well. When you are getting carpet installation done, then you might have to pay about $4750 for 95 square meters of area, because the normal costing of the tiles which is $18 per square meter would become $50 per square meter. Thus, instead of getting carpet installed in your office, go for carpet tiles, which would provide the same appearance at a much cheaper rate. And yes, do remember that the cheaper doesn’t mean that it would be low on quality. The reason is just that installing tiles is easier as compared to the installation of the carpet. Easy DIY: Maybe you are not a master in DIY things, but with carpet tiles it is possible to do, as even an amateur DIYer could perfectly laid the type of flooring he/she wants. The underlay is not required, thus you can lay the commercial carpet tiles directly above the laminate, wooden floors or concrete. Don’t worry, you won’t be missing any installation step this way. For any oddly shaped floor, the carpet tiles are just perfect, as you don’t have to put much effort and a lot of time is saved with this. Design: now, this is the most fun part of selecting a new flooring, as you would get a completely different pattern and colours on your floor and a fresh atmosphere in your office. As per the look you desire, you can choose the carpet tile which works best in your office. You yourself become an interior designer when you go for carpet tiles. With other flooring, the designs that you can create are limited, but with commercial carpet tiles, you have endless options, as they are available in various shapes and sizes, like triangles, squares, rectangles, hexagons and even trapezoids. So, be ready to create your own design with much fewer efforts. You can be the trend setter, as you have created a unique design. Apart from the above-given benefits, the commercial carpet tiles are practical, durable and easy to maintain. So, if you are looking for a floor that will be the most distinctive ones, then comeercial carpet tiles would be the best option. For discussing more about the carpet tile flooring, you can contact the experts at Jupps Floorcoevrings.